Worlds largest betting exchange run side by side with a regular bookmakers means you get the best of both worlds and fantastic odds. » Great free bet offer. » Betting exchange & bookies. » Cash out & acca insurance. » Two seperate apps needed for exchange and bookmakers. » Too many promotions aimed at new customers only. New customer offer. Place 5 x £10 or more bets to receive £20 in free bets. Repeat up to 5 times to receive maximum £100 bonus. Min odds 1/2 (1.50). Exchange bets excluded. T&C’s apply. The welcome bonus offered by Betfair provides new customers with up to £100 in free bets. To claim you need to register and then place 5x £10 single bets of at least £10 at odds of 1.5 (1/2) or greater. This will release £20 in free bets but you can repeat the process to claim up to a max of £100 in free bets total. Free bets will be credited within 24 hours of the final bet being settled. The free bets must be used as one individual bet each and if one is applied to a bet with a less than £20 stake, then the remainder of the free bet is lost. If any winnings result from the staking of a free bet, then the stake itself will not be returned. Open an account with Betfair here! Daily Enhanced Prices – Each day Betfair provided a selection of single and multiple bets across a number of sports for which they have enhanced the prices to improve the potential returns if they are successful. T&C’s apply. Double Winnings on Goal/Try/Touchdown Scorers – An ongoing selection of promotions which offer double the winnings on successful first goalscorer, touchdown scorer or tryscorer bets for selected matches. The doubled winnings are offered in a number of circumstances, such as if the first goal is a header or if the selection scores more than one touchdown. T&C’s apply. To see all current promotions visit the Betfair website and click the ‘Promotions’ link. Cash Out – Betfair can boast on of the most comprehensive cash out services of all online bookmakers. Their cash out facility is available for a really wide range of markets across all sports and for horse racing allows punters to cut and run pre-race, during running or between legs for a multiple bet. In-Play – The dedicated in-play section of the Betfair site includes a good selection of events across many sports which have in-play markets provided. The in-play interface also includes live scoreboards along with those markets but is a little lacking in other stats or commentary. Live Streaming – Another area where Betfair really excel, they provide customers with access to a really good amount of live streamed events across loads of different sports. To have access to the general sports streams, a customer must simply have a funded account. To watch any UK, Ireland or UAE horse race meanwhile, the customer only has to have placed a minimum 50p bet on the race. ‘Acca Edge’ – Available to any Betfair customer, ‘Acca Edge’ allows customers to take a slight reduction on their odds for any treble or above accumulator on all sports and markets, in order to get their stake back if their bet misses by just one leg. There is in fact a dedicated Betfair mobile app for Android, iOS and Blackberry devices as well as a specific version for iPad. All of those versions can be downloaded from the Betfair website or through the particular device’s usual download channel, and an excellent mobile web app is also available via any device’s web browser. Each version of the Betfair mobile app provides a near identical service and that service is for the most part a user-friendly, easily navigable and all-around excellent one. The range of markets and account services available is excellent and differs little from the desktop site, but live streaming is unfortunately not currently available on mobile and the bet slip could be a little more intuitive. Betfair can currently claim to be the largest online betting provider in the UK, as well as being the operator of the biggest betting exchange in the world and as such has quite a reputation and image to protect. What that means is that the company always does it utmost to avoid adverse publicity and as such tends to treat its customers extremely well. Those customers are spread all across the globe, in areas such as the United States, Australia and central Europe, as well as the UK where the company began and that helps to demonstrate the growing popularity and success of the company. When conducting our Betfair review we found the company are in many ways at the forefront of data and information security and employ a number of measures to keep user information and financial transactions secure. Their SSL encryption for instance is at least 128 bit (the industry standard) but when the site is accessed via certain browsers, that encryption is actually increased to military grade 256 bit. What’s more, the servers on which Betfair store vital data are protected by network firewalls and the physical data centres where they are held are guarded and secured with biometrics to enhance security. The company are also right at the sharp end for player protection and responsible gambling, and have their own dedicated responsible gambling site. That site provides lots of advice, as well as links to Betfair’s various options for setting deposit and loss limits on any account and to their self-exclusion service which close an account for a minimum period of six months. 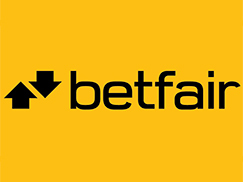 Customer support at Betfair is varied and readily available, and is largely accessible via their online help centre, which features a selection of FAQs that can be a good first port of call for any customer with an issue. If the issue cannot be solved via those FAQs, support is also available by way of live chat through the site, a telephone helpline or by email. The average response time for the live chat is around 60 seconds and for email is approximately four hours. Support Email: Form imbedded in the help centre. Since their foundation back in the year 2000, Betfair have grown to become one of the largest and also one of the best online sports bookmakers around. Their website is an attractive and easy to navigate one and the range of markets available across a variety of sports is impressive. Extensive in-play betting is also available, as is one of the best live streaming services around which covers a whole array of sports, as well as horse races from the UK, Ireland and the UAE. Added extras and features like their excellent cash out facility and the ‘Acca Edge’ feature for taking some risk away from accumulators further improve what is an already excellent service, and the readily available mobile apps mean that the service is provided to the largest array of customers possible. Whilst Betfair are undoubtedly an excellent online bookmaker that many customers will enjoy using, there are a few slight issues that could be improved to bring the service in line with some of the true market leaders. The selection of ongoing promotions and bonuses for instance is by no means as broad or generous as those of other competitors and the in-play betting interface does not include as much in the way of graphics or statistics as some that are around. The Betfair mobile app too, is in many ways excellent but could be made even better if live streaming were made available through it and if the bet slip were altered to be a little more intuitive. > Join & get up to £100 in free bets!